Life doesn't get better than this. 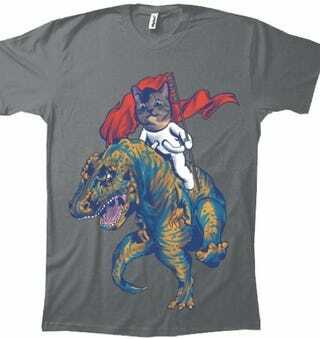 A cat from outer space is riding on a dinosaur, flying the red flag of feline dominance over the mega-proto-bird. The best part is that it's a t-shirt, $17 from MySoti.